Easter weekend and a trip down to Waterford to the parent’s place and a visit with my sister, bother-in-law and niece. I knew that turkey was going to be on the menu so for a bottle of wine I was looking for a soft red and decided to go with a bottle I picked up last summer on a trip down to Amherstburg and the Lake Erie North Shore viticulture area, a 2002 D’Angelo Vineyards Estate Winery Reserve Pinot Noir Lake Erie North Shore VQA. I was surprised as I expected more of a brick colour considering the age of this wine but it did have a brick tinge with some light brown around the rim. The nose was bright cherry with a very slight mushroom aroma, more truffle than white button. The palate was smooth and integrated with a zippy tartness of sour cherry, plum and a medicinal tang that bordered on floral. Easy drinking and a perfect complement to the turkey dinner, not much life left in this but drinking very well now. Another Wednesday night, another Ontario Wine Chat on Twitter. The focus of the latest #ONWineChat was “Is Ontario Syrah the next big thing?” and the discussion centred around those in Ontario that produce Syrah (both single varietal and in blends) and the future for production in Ontario. A look through my cellar confirmed that I have only one bottle left of “Syrah” (actually a Shiraz from Jackson-Triggs, my review can be found here) and I am saving it to enjoy with a friend of mine who especially loves Syrah. Another Ontario wine to pick, and let me tell you picking a wine is not that easy for me. I go through my labelling system which consists of stickers on the top of the bottle with a “don’t drink before” date and possibly a code that tells me where and when I acquired it. I look at the bottle, think of when I got it and if it is the right time to open it. 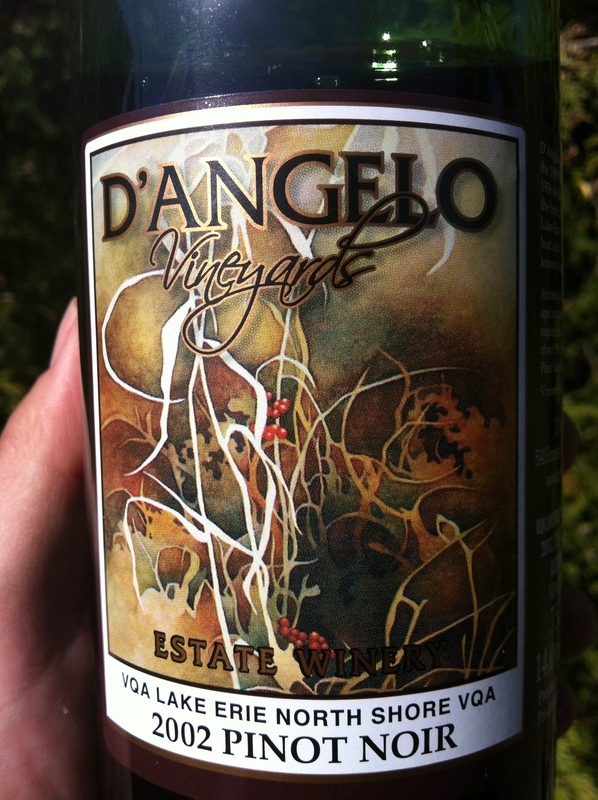 After picking up and putting down a number of bottles I settled on a 2004 Angels Gate Winery Single Vineyard Cabernet Sauvignon VQA Niagara Peninsula that I purchased at the winery while on a tasting trip. Some of those trip exploits I outlined in this blog post. I prefer my wine to have some age on it, years spent in the bottle for secondary and tertiary aromas and flavours to emerge. This 2004 offering is drinking beautifully right now. Although somewhat grumpy from being woken up after an almost decade-long slumber, with some time it revealed a plethora of aromas and flavours. The ruby red colour with a slight garnet rim foreshadowed what was to come. The beautiful wife thought the nose smelled of burning cherry wood (am I barbequing too much?!) and the taste was black current and caramel. At first the nose was tight with dark red fruits (raspberries, black cherries) but changed over to pencil shavings, brambly forest floor and stewed strawberries. The palate had smooth yet firm tannins and a real sense of completeness. The mouth feel was brooding yet soft, like a lumberjack who just had his back waxed. With even more time I detected some soy sauce on the nose and the flavour was an inky blackness, like drinking a cavernous black hole. Another bottle of pure enjoyment. I would suggest to go and grab a bottle but unless you have one in your own cellar I have a feeling you will not find it anywhere. Digital Signatures – Please sign on the … screen?! A revolution is coming to how Real Estate transactions will be conducted in Ontario. Currently awaiting proclamation is an amendment to the Electronic Commerce Act (ECA 2000) from the June 11, 2013 passing of the 2013 Ontario budget that allows for conveyences of land to be confirmed with digital signatures. Here is a link from the Ontario Real Estate Association outlining these changes. In essence, once this amendment is proclaimed, you will be able to do all the “paperwork” required to buy or sell a property in Ontario via an electronic device. Digital signatures are currently allowed for all other Real Estate forms except those that convey (transfer) ownership of property, namely the Agreement of Purchase and Sale (APS) and other forms directly related to the APS (waivers, fulfillment of conditions, amendments). Agency forms (Buyer Agency Agreements, Listing Agreements, Working With a REALTOR©) can be signed using digital signatures and have the same legal affect as those signed with pen on paper. So how will this change the way Real Estate is conducted? Imagine you are out viewing a house that you would like to make your home and would like to put in an offer to purchase. No longer will you have to drive back to the REALTOR’s© office, print out six copies of the offer and go through to initial and sign each of those copies. Using a digital tablet (such as an Apple iPad, Samsung Galaxy or Blackberry Playbook) your REALTOR© could load the required documents, go over the specifics of the offer and get your digital signature then and there. A copy of the offer you just signed could then be emailed directly to you and also sent to the Listing Brokerage to be presented to the Seller. Today’s Real Estate market is fast-paced and there seems to be Buyer competition for most listings. Having the ability to submit your offer as quickly as possible is a benefit to the Buyer. 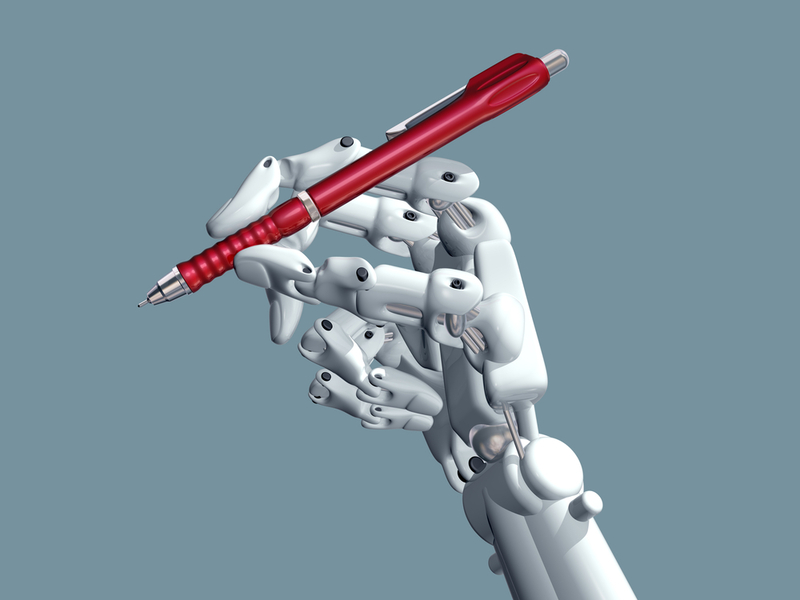 Technology has evolved and radical changes are coming to the way things are done. I welcome the change and look forward to using the new tools that will be available to best serve my clients. 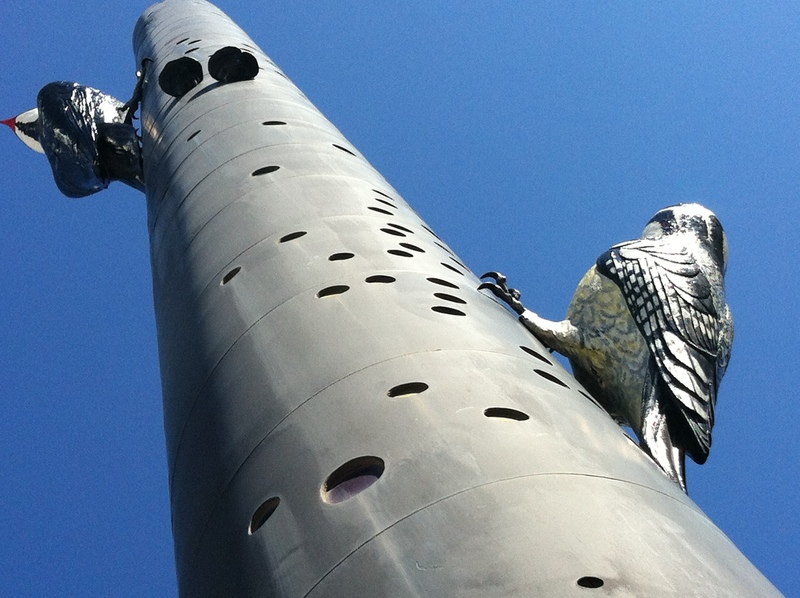 Soon it will be the finger, and not the pen, that is mightier than the sword. This past week I had the privilege of attending the Agent ReBoot Real Estate conference at the Metro Toronto Convention Centre held by Inman. This conference was a whirl wind of twelve presenters, each focussing on a specific topic for about 20 minutes, then moving on to the next speaker. I found this a great format, lots of great information in a short amount of time with each speaker focussing on what they know best. With so much information presented very quickly it can easily cause “info overload” for a lot of people so the MC’s message was to take one thing, one specific take-away to focus on from the day. Myself, I learned a lot of information to help me in my Real Estate business and came out with a few ideas to implement. I have always enjoyed learning and I am thankful for the jam-packed opportunity that was availed to me. After the conclusion of the day’s speaking, a reception was held to discuss the ideas presented as well as meeting fellow colleagues. With the digital age we live in it is often the case that relationships are built online and the chance to meet in person is rare. I had the chance to meet a few people that I had connected with online, always nice to put a real face to a profile! I was happy to see that the red and white wines being poured were both Ontario VQA Wines. 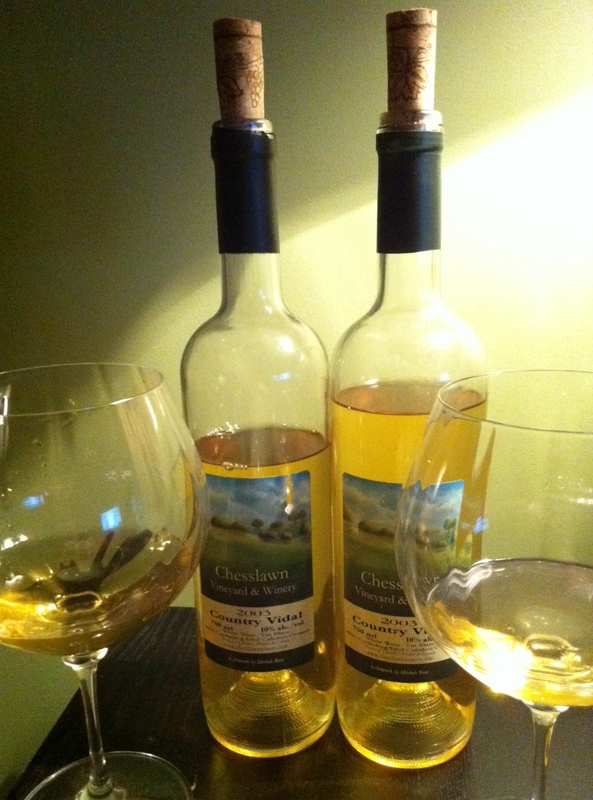 The white wine was 2012 Crush VQA Pinot Grigio/Chardonnay and the red wine was 2012 Malivoire Red Niagara Peninsula VQA. With an hour drive home I only had one glass and went for the red. I had a preconceived notion of what to expect from this wine and it delivered as I thought it would as a quaffable wine to go with food. I have tried a number of Malivoire wines in the past and have been quite impressed, specifically their 2006 Malivoire Pinot Noirs that I tasted last year – both delicate and beautifully refined. This bistro wine was transparent dark ruby in colour with a young nose of woody cedar, raspberries and cherries. These aromas continued on the palate, mixed with mocha, overripe red currants and underripe fresh plums. With a new tannin feel and a gentle carbonic tang, the nice tart acidic backbone complemented this wine perfectly. I sampled some generic blue cheese and dried figs along with this wine and it tasted better with the nibbles than without. Looking for a great “Week Night” wine for dinner? Pick up a bottle of 2012 Malivoire Red, you won’t be disappointed! I had a request from the beautiful wife to make a beef stew for dinner on Saturday and needed a red wine to include in the brew. Since most of my recent bottles have been Ontario Wine I decided to go for something international. 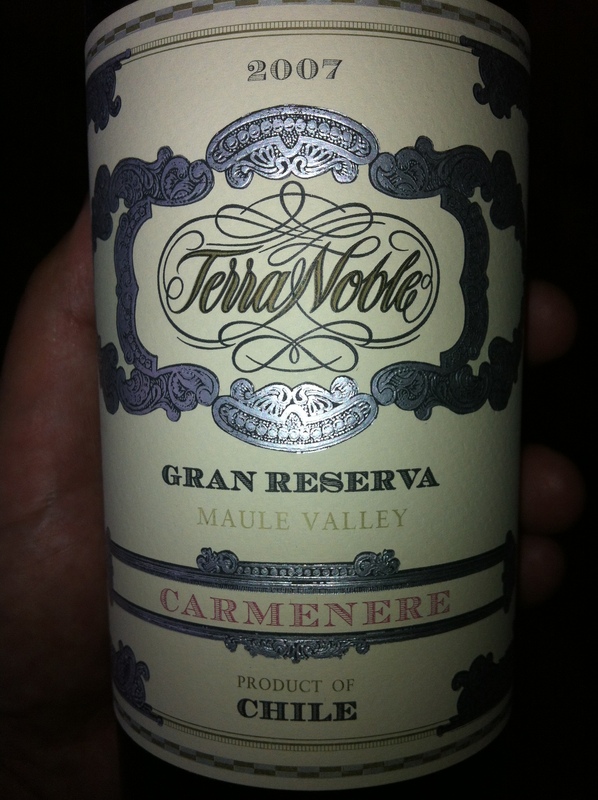 A look through the cellar for something appropriate yielded the 2007 Terra Noble Gran Reservea Maule Valley Carménère from Chile. I wanted something that would have flavours to complement the hearty stew. This Carménère is the first single varietal wine I have tasted of this somewhat elusive grape. A quick internet search brought me to the wikipedia page for Carménère that gave me some more background on this varietal that at one time was believed to be extinct. Considered to be a sibling of Merlot I looked forward to seeing how this example compared to one of my other favourite varietals. The nose upon opening instantly triggered a memory of a distinct aroma: Black Cherry Jell-O Powder. This was followed by roasted beets and dark red fruit. 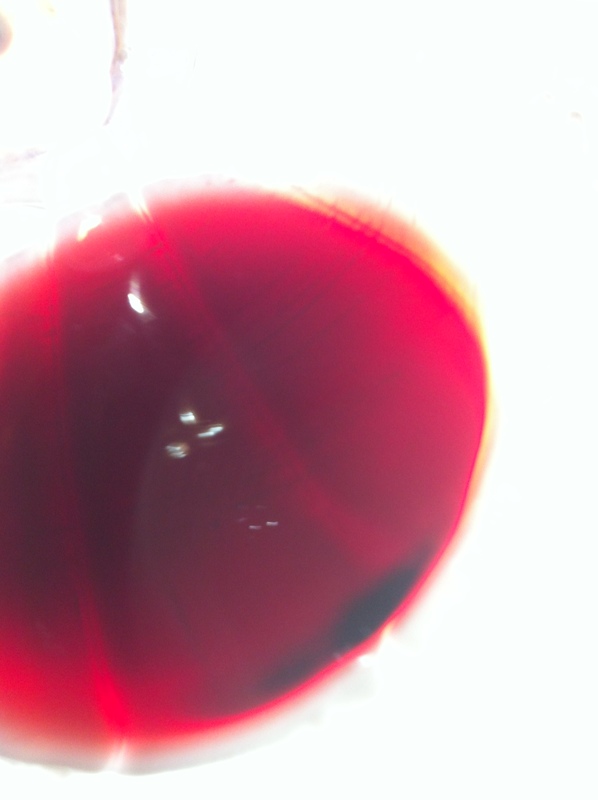 I was somewhat surprised by the inky red colour, akin to roasted beets, as I expected more lightness from the bottle age. The palate was black cherry, roasted beets and stewed meat with smooth dry tannins. With time the nose turned inky, deeper in intensity, with notes of graphite, smoked meat and tobacco. The palate changed as well turning to dark fruits, boysenberries, blackberries, hint of blueberries. With flavours darker than the colour and impressive length, there was nothing transcendent about this wine but it was enjoyable nonetheless. 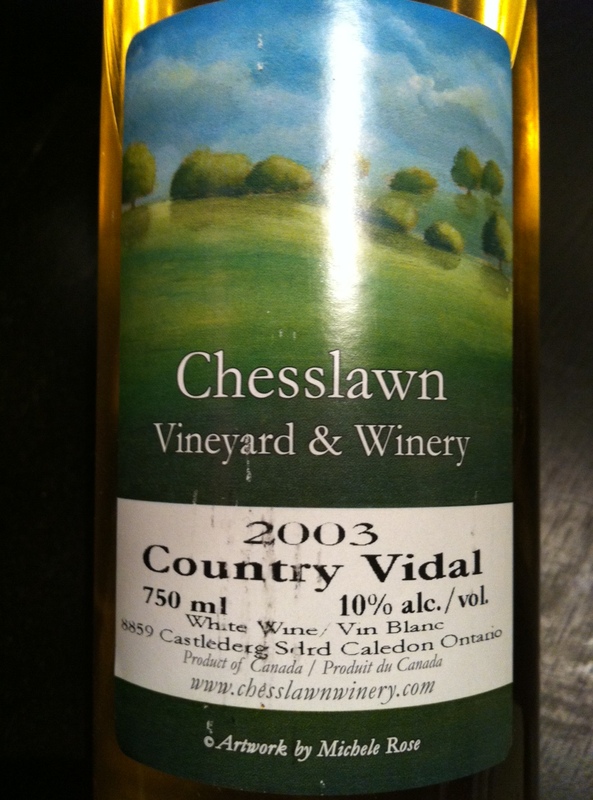 Another Wednesday night, another #ONWineChat, another bottle of Ontario wine. With the topic of Revolution in the Wine Industry in Ontario, I went for something…revolutionary! Many thanks to Michael Pinkus, The Grape Guy @TheGrapeGuy www.ontariowinereview.com for his piece about what he feels is needed (I tend to usually agree with him and his opinions, with this being another case in point) to transform the current system of wine-to-consumer delivery in Ontario. Here is the link to the newsletter archive. Chesslawn Vineyard & Winery is owned and operated by Dave Matson and his wife Lisa with Dave managing the vineyard and winemaking operations. I have watched this winery/vineyard grow from the ground up and stopped in many times to chat with Dave. I appreciate his no-nonsense approach, both in who he is and in making wine that truly reflects the terroir of his generational family farm. I have been cellaring a number of wines from his 2003 vintage to see how they evolve over time. I know that he was very light-handed with his use of sulphites this year and I was warned that the chance of oxidation was high. It has been a number of years since I last tasted this wine, from what I remember a slightly unorthodox off-dry Chardonnay. 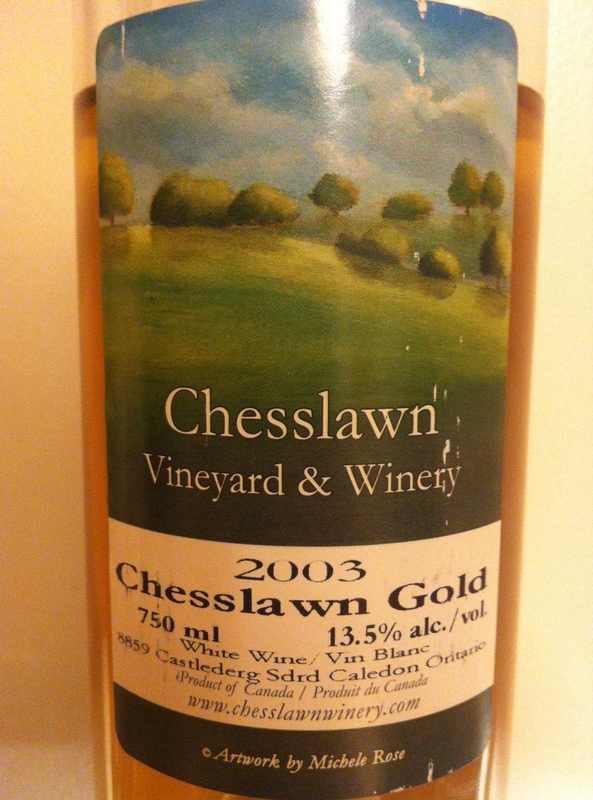 The 2003 Chesslawn Vineyard & Winery Chesslawn Gold was a gorgeous golden hue, full sunshine and happiness. Closed on the nose at first, tight from a decade of patience, this wine needed time to open up. 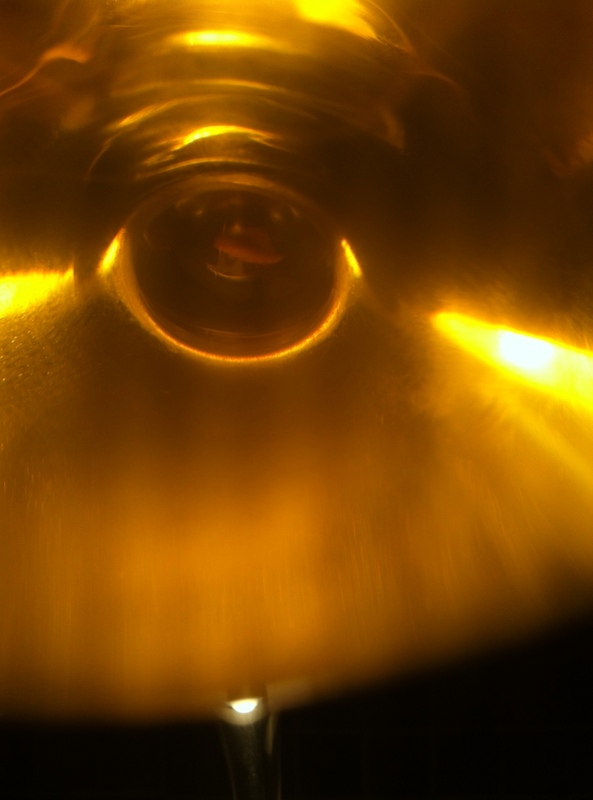 With some swirling and sniffing a slight oxidized sherry smell emerged, followed in time by a nose of candied pineapple, almost aged ice wine in character, a lick of canned peaches too. The beautiful wife thought it smelled like candy apples from a fall fair. There was a replay of a hint of sweetness on the palate, only slight acidity to play off that sweetness and more of the oxidized sherry notes, but in a good way, like gentles wrinkles of time, a whisper from a time long ago. A very different wine, but still very enjoyable and definitely drinkable. Glad I have a couple bottles left to share with Mr. Matson one day.